Many of the questions you may have about a flat fee MLS listing will be answered below. Please don’t hesitate to contact us with any other questions. Definitely. An overwhelming majority of home buyers use the services of a real estate agent (aka REALTOR). All REALTORS in Tucson use the local MLS to find their buyers a home. Also, most unrepresented buyers find their homes via the MLS, whether directly or through a third-party site which gets its information from the MLS feed. Many of our clients come to us after sitting for weeks/months on Zillow and other similar sites. Do I need a lockbox (aka keysafe)? Probably (and we strongly recommend one). An MLS-approved keysafe is the best, most convenient, and most secure way for showing your property, especially if it is vacant. These keysafes keep real-time records of who accessed the box and what date/time they did so, allowing us to always know who was in your home. Only MLS member Realtors can access these boxes, and these are the ONLY lockboxes MLS allows to be advertised in an MLS listing. If someone is always (or can be) home to let buyers and their agents in, you may be able to get by with no lockbox. I’ve heard some agents will not show properties listed by so-called “limited service brokers” or “discount brokers”. Is this true? Not only is this unethical, it can be ILLEGAL. According to statements in a U.S. Department of Justice/FTC publication, “It is well established that the antitrust laws prohibit an unreasonable agreement by a group of brokers that they will withhold cooperation from a particular broker”. An individual agent or company may choose not to show your home for any reason, but they will be hard-pressed to explain why to their buyer clients, let alone a judge! As the real estate industry slowly evolves, these “alternative” models are increasingly common. Each year we see agents’ level of understanding grow and these issues generated from misconceptions and ignorance are quite rare. Is a Flat Fee Listing for me? Our clients include experienced investors, agents licensed in other states, retired agents, and other savvy sellers. Many have utilized a similar service to sell their property previously. This type of listing may not be for you if you have never sold a house (especially in Arizona) or if you are not comfortable navigating the legal, tax and other facets of a real estate transaction. In this case, we can help you in a more “full service” role for less than the “traditional” 3%; contact us to discuss. As with all financial and legal matters, we advise you consult your attorney, tax advisor, or other professional consultant. How long before my house is active on MLS? Your listing will generally be live within 24 hours (Monday-Friday) of receiving your properly-completed & signed paperwork and listing photos. Many of our peers take 2-5 days to “process” your listing. We can even get your listing up same day, just let us know your needs. How long until the sign and lockbox are installed at my house? Generally within 24-48 hours of receiving your payment. We rely on a local third-party company Lister Assister to install the post, sign, and lockbox, so scheduling is dependent on their workload. We are prompt and flexible, so contact us with your needs. Who will potential buyers and/or agents call to show my house? Short answer: YOU. Our phone number will be shown in all public outlets (MLS, Zillow, etc.). Our phone system has a property directory which allows callers to be forwarded directly to your phone. Your phone number will be on the listing in the agent remarks, putting you in control of who shows your property, and when. There is no option for putting a phone number or other contact info in the public marketing remarks, as our MLS does not allow it. At your discretion, if you’ve chosen an option that includes a lockbox, agents can show your property anytime, per your instructions. Those instructions are included on the listing. Any email inquiries will be forwarded to your email. Can I make changes to my listing, such as the marketing remarks or photos? Yes, at no cost. Simply email us any changes you want made. Can I extend my listing? Relist it? If you have selected the Premier option, extensions up to 1 year are free. Basic listings can be extended for $50. The fee to relist either listing type is $75. Can I cancel my listing? I’m thinking about listing with a REALTOR®. Do you offer refunds? Just so you are aware, broker/owner Ronnie Spece is a REALTOR®; a member of the National, State and local REALTOR® associations. If you find yourself needing more help selling your home, please don’t hesitate to discuss your needs with us. Our flat fee listings are just one of the options we offer. That said, yes, you can cancel your listing anytime without penalty. The flat fee you pay is a non-refundable retainer fee. 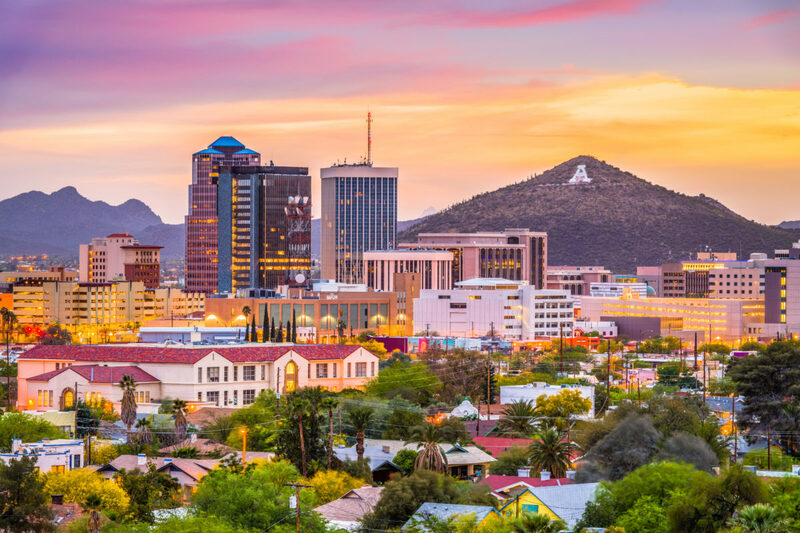 If you have additional questions, or want to take advantage of our flat fee listing service, email us at info@athometucsonrealty.com or CLICK HERE to purchase.